Whether you’re a self-diagnosed shopaholic or simply enjoy the finer things in life, a visit to Paris is a no-brainer. Spend the days treating yourself in lavish department stores such as Galleries Lafayette or the high-end boutiques just off the Champs Elysses. 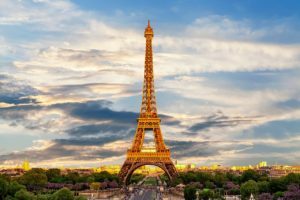 In the evening, dress to the nines and hit the lively city indulging in decadent French cuisines accompanied by a glass of Champagne or locally produced fine wines. A visit to the Louis Vuitton flagship store is a must – I can spend hours there! If you’re looking for a local dinner recommendation, a visit to La’Alcazar is a must, and a sticky in La Printemps department store is always a fashion forward experience. If you’re searching for a romantic getaway, it may sound cliché but Venice is always a great idea. The floating city features countless canals, bridges and a whole lot of charm, allowing you to do as much or a little as you like. 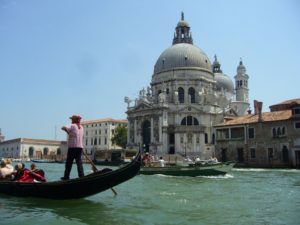 Spend your days getting lost in the charming alleys and cobblestone piazzas, wine and dine on traditional Venetian Cuisine and if you’re feeling adventurous, hop on a water taxi and explore the breath-taking Islands of Murano or my favourite, Burano the colourful fishing village known for its lace. While you’re there, be sure to try a Tramezzino sandwich, enjoy an Aperitif at Hotel Danieli and serenade your loved one on a gondola ride. Keep the kids entertained and teach them a thing or two about other cultures in Abu Dhabi. Known for its opulence and cultural experiences, Abu Dhabi is quickly taking the limelight as the Emirati destination to visit. Check into your resort and spend the day by the pool or take the kids to one of many theme parks such as Ferrari World, Warner Bros (opening in July) or Yass Waterworld. 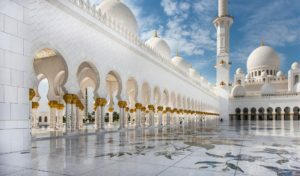 If you’re looking for a more educational experience, visit the stunning Grand Mosque. Have you got a case of wanderlust now? Get planning your next getaway!